It’s a weekday morning, and you stroll into an early meeting with your team. You agree it’s time to find a new warehouse management system (WMS)…and the boss wants you to take the lead. The project cannot be put off any longer, you conclude collectively – you had a feeling this moment would come soon. But you’re still left wondering: where to start? 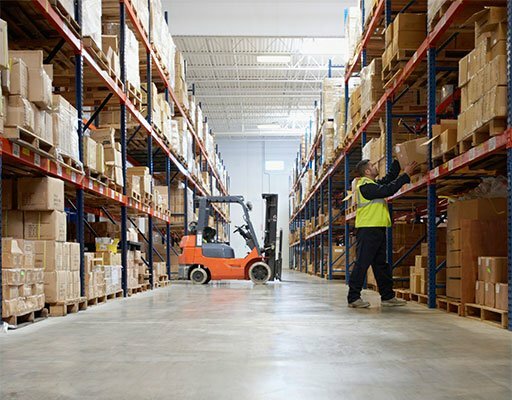 A warehouse management system is a vital piece of technology for any retailer, wholesaler or manufacturer. It enables you to optimize your supply chain, increasing margins and empowering you to better serve customers. Those two factors will help you build the competitive advantage that powers your company’s lasting growth, so you need to nail this decision. This WMS Project Toolkit will help you answer your most pressing questions as you evaluate numerous solutions, offering insight into differences in functionality, technological architecture, return on investment (ROI), total cost of ownership and more. You need to increase inventory accuracy, labor efficiency and throughput. Scalability to meet peaks and valleys in order volume and comprehensive functionality for your complex requirements is a must. The supply chain execution software you select needs to serve as a long-term solution that will grow and evolve with your operations. HighJump is a global provider of supply chain management software that streamlines the flow of inventory and information from supplier to store shelf. With approx. 440 employees worldwide HighJump supports more than 4,000 customers in 66 countries, ranging from SME business to marquee global enterprises. HighJump’s functionally rich and highly adaptable end-to-end solutions efficiently manage customers’ warehousing, manufacturing, transportation, distribution, delivery routes and retail stores. Please contact us if you are looking for a warehouse and supply chain management system service provider for enterprises. iWMS is an independent software developer, innovator and team augmentation partner with years of global experience in consulting, building, and supporting WMS solutions. We offer proven industry-leading software from HighJump Software Network Solutions for warehouse and supply chain management. iWMS is based in South Africa, the Americas, Australasia and India.This gives iWMS access to the best resources and IT talent globally enabling us to ensure that the right level of experience is available for all projects at any given time.